We are excited to announce that our open source product Superblocks Studio is now live at https://city.superblocks.com/. This is the first product we are integrating into “Superblocks City” — a platform with everything needed to build powerful decentralized applications (DApps). Superblocks Studio is a tool to help code, build, test and deploy smart contracts and decentralized applications. Don’t waste precious time setting up your development environment. Simply open Studio in your browser and start coding. The current iteration of Superblocks Studio is functional for Ethereum, yet we have plans to further develop the product to work with several blockchains. We have decided to keep it in private beta for a limited time to ensure that we can effectively handle initial feedback and bugs before we open it up for everyone. 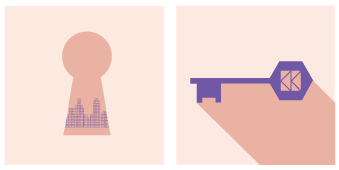 As a fun concept we are handing out a set amount of “Keys to the City” for people interested in testing Superblocks Studio. Key for Citizens to get into the City. If you would like your own Key to the City contact us on Telegram, we will be progressively handing out more every week through our social media and events. In Browser Blockchain: Built in Ethereum blockchain and Solidity compiler for rapid and worry free development. Code Autocompletion: Thanks to Monaco Editor, you can leverage on the power of code completion out of the box. Run with custom node: Connect to a local or shared TestRPC/Geth node to integrate with other tools and to share state with your team. Boostrap your App: Choose from many template DApps to get started coding quickly, then just change some details and your DApp is ready to use. Deploy to Mainnet: We know how stressful and time consuming can be to deploy your Smart Contracts to Mainnet. With Superblocks Studio you are just one click away. Built in Wallets: No need to use any external wallet to interact with your Smart Contracts, we have you covered. Use our built in wallets and forget about having to jump between different tools. Metamask Integration: Build DApps with Metamask integration — ready to be published. Live Code your DApp: Live edit your DApp with instant feedback on the visuals and the contracts. Reduce context switching and work in a fully integrated tool. Export your full DApp: Take the rendered source directly from the GUI and publish it on the internet to have your fully functional DApp up and running in no time. No terminal required. If you have any feedback we would love to hear it! The most practical way is to write to us on our Telegram channel. If you want to review or commit code we will open source everything here (https://github.com/SuperblocksHQ) once the Beta is over. We exist to empower more visionaries to build their thing and be a part of the decentralized future. Superblocks Studio is the first public contribution to this ecosystem. Come try Superblocks Studio! was originally published in Superblocks on Medium, where people are continuing the conversation by highlighting and responding to this story.